The VEAA members participated in these events during 2011. Location: Willa Frayser is hosting us at her home/studio on her farm “Winfield” in the Ashland/Montpelier, VA area. · Demonstrate and assist in armature construction for equine bust and provide lessons learned for practical and effective armatures. · Describe “roughing in” techniques and assist in initial “roughing in” of student projects. · Demonstrate refinement techniques and tools; assist in their application to student projects. · For those students with works in progress, you are welcome to bring them and work on them. There will also be a demonstration by Willa Frayser on the Resin casting process and how the "rough" and "finished" Resin will look. This is a economical way to have your clay molded and cast as a finished sculpture. Workshop Fee: $125 payable by check to the VEAA – includes two days of instruction and supplies for sculpting a small equine bust. For those interested in working on a full horse vs. bust, please add $15 to the fee for a total of $140, since I will be assembling your armatures in advance. To Register: Contact Robyn Ryan at rryan@hughes.net or at 540-424-0806 (Please leave a message with your contact information!) Don’t forget to let me know if you prefer to work on the bust or the full horse (additional fee for more complex armature.) Please register no later than Saturday 6 August so Robyn will know how much supplies to order. Robyn will be ordering the workshop supplies 8 August to ensure supplies are delivered in time. 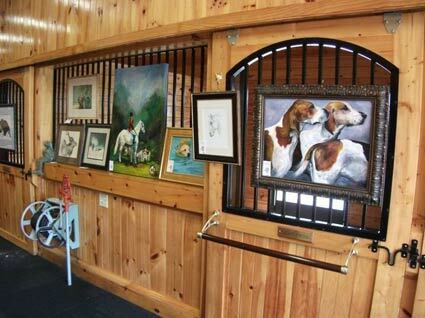 Please send checks to the VEAA Treasurer, Linda Wolitz, Virginia Equine Artists Association, P.O. Box 2752 Glen Allen, VA 23058-2752. Directions: The address is 15962 St. Peters Church Road, Montpelier, VA 23192. Willa will have a sign at the front that says "Winfield" for people to watch for since the driveway is very long and you can't see the house. Mapquest will bring you various routes, Willa indicated that it is ~ 11.4 miles from 295 “Montpelier/Route 33” exit. Willa’s home number is 804-883-2062. Lunch Options: Lunch will be pre-ordered for delivery. Feel free to bring your own just let me know. Supplies: Sculpture supplies will be provided by instructor and included in the workshop fee. Supplies Include: wood base, fittings, armature wire, clay, and basic tool set. Please bring photographic and/or sketch reference material for your equine bust project (shoulders and head). It is very helpful when working in three dimensions to have reference material from multiple angles. 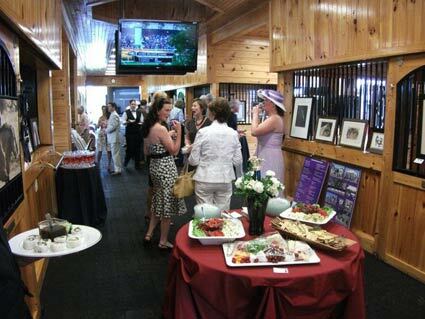 The VEAA artists were again invited to exhibit and sell their work at the annual 2011 Belmont Party at Foxcote. Rachel Canada, Marion Mercer, Dorothy Chuuy, and Debby Thomas participated. 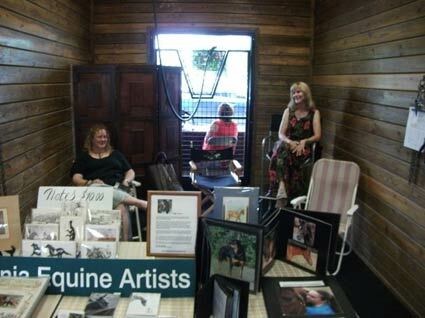 This fun event held inside the beautiful, spotless barn was a success with great people and good sales.